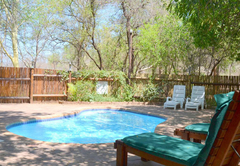 Phumula Kruger Lodge is a B&B with self catering option, providing accommodation in Marloth Park for tourists visiting the Wild Frontier region. 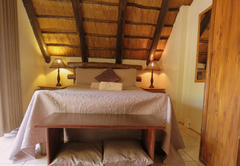 Located in Marloth Park and conveniently close to both the Crocodile Bridge and Malalane entrance gates to the Kruger National Park, Phumula Kruger Lodge offers a range of either luxury self catering, fully catered or bed and breakfast accommodation. 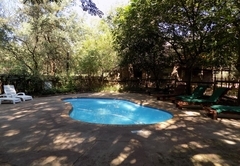 This is ideal accommodation for family holidays or for those en-route to either the Kruger National Park or Mozambique and Swaziland. 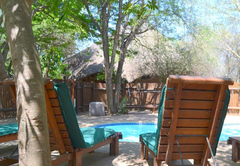 Phumula Kruger Lodge offers fully furnished and serviced accommodation in four air-conditioned thatched chalets on a self catering basis and four Grass Top Rooms on a bed & breakfast basis. 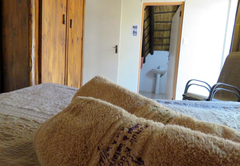 The chalets are comprised of three bedrooms with the main en-suite bedroom upstairs (bathroom with shower and bath) and another two bedrooms downstairs with one shared bathroom (shower only). 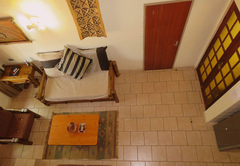 There is also a lounge, fully equipped kitchen with microwave, toaster, two plate stove and a kettle. 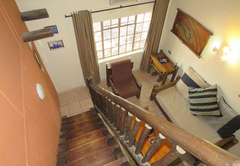 The outside area has a patio and braai. 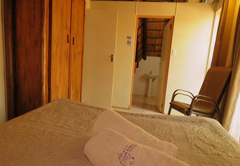 Each with two single beds and an en-suite bathroom with a shower. 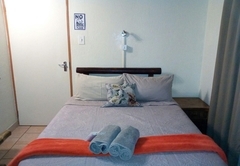 The unit has coffee making facilities, a kettle, a microwave, bar fridge, cutlery and crockery. 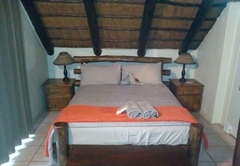 Each with a King-size bed that can be converted into single beds if preferred. 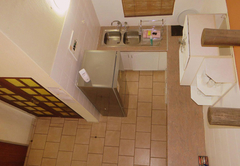 There is an en-suite bathroom with a shower. 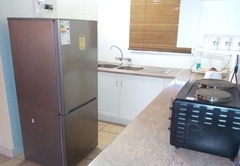 The unit has coffee making facilities, a kettle, a microwave, bar fridge, cutlery and crockery. Meals are served in our restaurant. 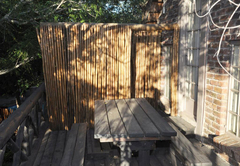 We have seven tables indoors and another four on the verandah for those who prefer to eat outside. 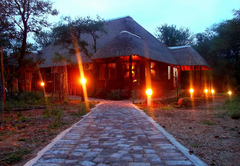 Resident game include impala, kudu, giraffe, waterbuck, zebra, hippo and warthog. Many of these animals can be spotted while relaxing on your patio or at your braai area. 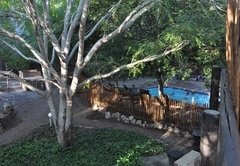 More dangerous animals such as rhino, buffalo, lion and leopard can be seen at Lionspruit Nature Reserve. 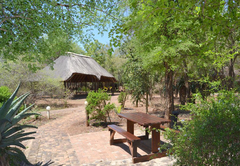 Game can also be viewed from Marloth Park’s lookout area which provides beautiful panoramic views over the Crocodile River. 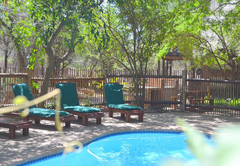 Activities outside yet nearby Marloth include self-guided game drives into the Kruger National Park, morning walks and night drives in the Kruger or a round of golf at the Leopard Creek Golf Course. 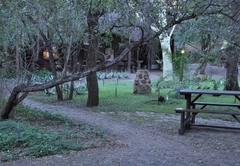 Response timePhumula Kruger Lodge typically responds to requests in 5-10 minutes.